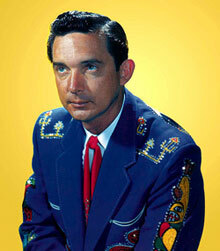 Country music legend Ray Price died Dec. 16 in Dallas. He was 87. Mr. Price received his bachelor’s degree in business administration from Arlington State College (now UT Arlington) in 1963. He was a Distinguished Alumnus (1972) and in 1979 the honorary chair of the annual alumni fund campaign. His music career received a big boost when he landed a spot in the Grand Ole Opry in 1952. Among his hits were “Release Me,” “Crazy Arms,” and “For the Good Times.” Mr. Price was inducted into the Country Music Hall of Fame in 1996. Former UT Arlington President Charles Sorber died Oct. 18 in New York City. He was 74. In addition to serving as the University’s interim president in 2003-04, Dr. Sorber was interim president of UT Pan American in 2009-10. He spent 11 years as president of UT Permian Basin in Odessa, where he expanded academic and public service programs, increased enrollment, and established an intercollegiate athletics program. He also served as vice chancellor for special engineering programs in the UT System and was a professor of engineering in UT Austin’s Cockrell School of Engineering. James W. Forgerson Jr. (’42 AS, Aeronautical Engineering), 90, July 19 in Tyler. Mr. Forgerson was an industrial engineer and director of military manufacturing for LTV, where he worked for 38 years before retiring in 1984. Gordon W. Fuqua (’44 AS, Aeronautical Engineering), 90, Dec. 19 in New Braunfels. Mr. Fuqua was an engineer for General Dynamics/Lockheed in Fort Worth. Phyllis Gwynne Forehand (’53 AA, Journalism), 80, Dec. 23 in Arlington. Ms. Forehand taught journalism at Arlington High School from 1967 until her retirement in 1996. In 1995 Texas Press Women named her Journalism Teacher of the Year. In 1996 she received the Max R. Haddock Teacher of the Year Award as the outstanding Texas high school journalism teacher. Michael M. Ditto (’58 AS, Pre-med), 76, Aug. 16 in Arlington. Dr. Ditto practiced medicine in Arlington for 23 years. Billy Dickson (’61 BS, Mechanical Engineering), 74, Dec. 15 in Hurst. Mr. Dickson was a mechanical engineer for 38 years at Bell Helicopter. He was a designated engineering representative of the Federal Aviation Administration. Thomas Dale Estill (’63 BBA, Business Administration), 81, June 13 in Mansfield. Mr. Estill retired from the Army reserve in 1984 as a colonel. He then served as a bailiff for the Tarrant County Sheriff’s Department. Ernest Lewis Goerdel Jr. (’66 BS, Mathematics), 78, July 22 in Mansfield. 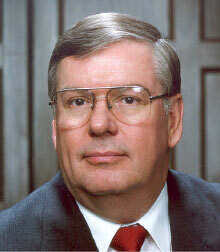 Mr. Goerdel worked for Lockheed Martin for 33 years, retiring as logistics project manager in Fort Worth in 1999. H.B. Keating (’66 BBA, Business Administration), 76, Oct. 27 in Granbury. Mr. Keating retired from TXU Energy in 1997 as senior vice president and chief information officer after 41 years with the company. David Robert Newell (’66 BBA, Business Administration), 73, Oct. 25 in Fort Worth. A Distinguished Alumnus, Mr. Newell was an assistant professor of finance at the University of Missouri before launching a career in real estate and construction management. Joining his father and brother to form the partnership Newell & Newell, they built Riverbend Business Park, which later became home to UT Arlington’s Automation and Robotics Research Institute (now the UT Arlington Research Institute). George Roth Donovan Jr. (’67 BA, English), 70, Aug. 6 in Arlington. Mr. Donovan taught for 25 years in the Arlington Independent School District. Philip M. Ola (’69 BA, ’72 MA, History), 66, Dec. 12 in Arlington. Mr. Ola was director of the Congressional Steel Caucus and worked as a lobbyist for the U.S. steel industry and for the International Council of Shopping Centers. He owned and operated World Realty in Arlington. Cinda Lou Thomas (’70 BA, French), 63, May 9 in Keller. Ms. Thomas worked at Lockheed Martin as an events coordinator and assisted various historical and veterans organizations in Fort Worth. Jeannine Crill Van Noy (’70 MA, English), 83, Dec. 9 in North Richland Hills. Ms. Van Noy taught English for 30 years at Arlington’s Sam Houston and Bowie high schools. She later taught in the Tarrant County College District for 15 years. Patricia Deere (’72 BA, History), 89, Sept. 13 in Arlington. Ms. Deere taught history for 12 years at Lamar High School in Arlington and worked in the administrative offices of the Arlington Independent School District. Walter L. Waechter Jr. (’72 BS, Biology), 62, July 4 in Fort Worth. Dr. Waechter was a general surgeon in Arlington, maintaining his practice for 37 years. At UT Arlington he was a member of Delta Upsilon fraternity. George Riley Barnhart (’73 BA, Political Science), 64, May 29 in Benbrook. Mr. Barnhart was captain of the Benbrook Fire Department, serving 27 years. At UT Arlington he was a member of the Sam Houston Rifles. Daniel Hugh Cooper (’73 BBA, Accounting), 72, Dec. 21 in Fort Worth. Mr. Cooper managed Lease Crude Accounting in Houston. He also worked for Coastal Corp., Columbia Energy, Pan-Canadian Energy, and Noble Energy. Richard Lonnie Hamblen (’73 BS, Architecture), 70, July 15 in Arlington. Mr. Hamblen was an architect for the Army Corps of Engineers for 37 years. Tommy Schmidt (’73 BS, ’76 MS, Civil Engineering), 67, Aug. 16 in Fort Worth. Mr. Schmidt was the Southwestern Division Dam Safety Program manager and senior geotechnical engineer for the Army Corps of Engineers. He worked for the corps for 38 years. Alton Eugene Lewis (’74 BS, Mathematics), 68, April 30 in Huntsville, Ala. Mr. Lewis worked at DRS Electronics in Huntsville for 38 years. Brent Skillman (’74 BS, Psychology), 63, July 28 in Arlington. In 1974 Mr. Skillman founded Fun N Sun Pools, one of the nation’s most successful commercial pool businesses. He played baseball at UT Arlington and was a member of Phi Delta Theta fraternity. Diana F. Conner (’75 BA, ’82 MA, Sociology), 60, Oct. 8 in Arlington. Ms. Conner was a counselor and director in the Education Opportunity Center at UT Arlington. She also taught at Kennedale High School and was a counselor at Tarrant County College. Dana Kay Matson (’78 BA, Communication), 62, Nov. 14 in Denver. Ms. Matson was a disc jockey at KSCS in Denton, a TV meteorologist in Sherman, and served as the voice of NOAA radio in Fort Worth. She was an accomplished artist, and numerous collectors own her paintings. Dennis Dean Jones (’79 BBA, Marketing), 55, July 1 in Galveston. Mr. Jones operated his own landscaping business for 20 years before becoming a rose gardener at Fort Worth Botanic Garden. He taught classes in the rose garden through Texas Christian University and was president of the Fort Worth Rose Society. Cheryle Lynn Todd (’79 BBA, Accounting), 57, May 8 in Dallas. Ms. Todd was an audit coordinator for the Oryx Energy Co. in Dallas. Jim Ford (’80 BS, Criminal Justice), 58, July 31 in Arlington. Mr. Ford served on patrol, in the narcotics division, and as a homicide detective with the Arlington Police Department from 1976 until his retirement in 2010. He then became a criminal investigator for the Tarrant County District Attorney's Office. Thomas O’Brien Finn Jr. (’81 BA, Journalism), 56, Aug. 10 of Fort Worth. Mr. Finn was a cameraman and news editor at KTVT/CBS 11, where he worked for 30 years. Joellen Koepnick Wood (’81 BS, Computer Science Engineering), 60, Aug. 29 in Carrollton. Ms. Wood taught computer science at the Girls Preparatory School in Chattanooga, Tenn., and the Episcopal School of Dallas. Bettye Joan Smith Weltman (’83 BSN), 81, April 30 in Fort Worth. Ms. Weltman was a registered nurse and worked in mental health at the MHMRs of Tarrant and Johnson counties. James Andrew Conlin (’84 BS, Architecture), 54, Sept. 20 in Fort Worth. Mr. Conlin was owner and publisher of the Greater Meadowbrook News in Fort Worth. Todd Alexander Baker (’88 BA, Journalism), 50, Nov. 3 in Arlington. Mr. Baker worked at Berry-Brown Advertising, DDB Needham­­­­­-Team Frito-Lay, Kangaroo Cases, and ProAudio. Robert Paul Paleschic (’88 BS, Civil Engineering), 52, Oct. 4 in Mansfield. Mr. Paleschic was president of EnSien Tech, an engineering business in Burleson, and was involved in numerous area ministries. Laurel Lynne Chaput (’91 MSSW, ’01 PhD, Social Work), 64, Sept. 13 in Austin. Dr. Chaput was a social worker for nonprofit and for-profit organizations in Fort Worth/Dallas and Austin. Donna Marie Reed Keeton (’92 BSN), 64, May 9 in Ivanhoe, Texas. Ms. Keeton was the medical director for the Choice Moore and Buster Cole prison units in Bonham before serving as a nurse practitioner at various agencies in Texas. Sharon Kay Chadwick (’94 BBA, Economics), 70, Oct. 13 in Arlington. Ms. Chadwick worked in UT Arlington’s Financial Aid Office for almost 30 years. She completed her business degree while working at the University. Jeff Moorehouse (’96 MBA, Business Administration), 52, May 12 in Fort Worth. Mr. Moorehouse was an aeronautical engineer senior manager at Lockheed Martin, where he worked for more than 26 years. He was a member of Beta Gamma Sigma at UT Arlington. Michael E. Ramsey (’13 BBA, Marketing), 22, Aug. 31 in Denton. Mr. Ramsey was working on a second bachelor’s degree in economics at UT Arlington. He was senior vice president of Delta Sigma Pi. Daniel “Rudy” Bechtel, 66, Oct. 15 in Fort Worth. Mr. Bechtel was a lecturer in the Department of Communication from 2005-13. He initiated a sponsored tutoring program matching UT Arlington students with at-risk students in the Arlington Independent School District. Charles Ray Chapman, 93, Oct. 8 in Kennedale. Mr. Chapman was an electrician. Prior to coming to UT Arlington, he was a controller with the Federal Aviation Administration for 29 years. Joseph W. “Winn” Dalley, 95, Sept. 22 in Fort Worth. Dr. Dalley was a faculty member from 1960-1984. He was chair of the Department of Engineering Mechanics and later joined the Department of Mechanical and Aerospace Engineering. Rex Dyer, 84, March 31 in Dallas. Mr. Dyer was a professor of art from 1956 until his retirement in 1987. He taught life drawing, commercial art, and fashion illustration. Nail Fazleev, 65, Oct. 9 in Arlington. Dr. Fazleev was an associate professor of physics. He led the grant proposal committee that received the Graduate Assistance in Areas of National Need from the Department of Education. Donald K. Granvold, 70, Oct. 27 in Dallas. Dr. Granvold was a professor emeritus in the School of Social Work. He served on the faculty from 1974 until his retirement in 2013. He was inducted into UT Arlington’s Academy of Distinguished Teachers in 2010. Thomas Robert Hellier Jr., 84, Dec. 1 in Fort Worth. Dr. Hellier was a biology professor for almost 50 years, retiring in 2006. He developed various biology courses, published research, and sponsored numerous student organizations. He and his wife formed the Dr. Thomas R. Jr. and Mrs. Evelyn F. Hellier Biology Scholarship Fund. Virginia Kay “Mako” Herald, 44, Oct. 12 in Arlington. Ms. Herald was the mailroom supervisor for UT Arlington Libraries. She worked at the University since 2004. Johnny Calvin Reed, 78, Oct. 18 in Arlington. Mr. Reed was a professor of nursing education and a licensed family counselor. Asok Kumar Ray, 65, Oct. 11 in Arlington. A physics professor, Dr. Ray wrote one book and wrote or co-wrote about 200 refereed research publications. He received the UT Arlington Award for Distinguished Record of Research or Creative Activity in 2011. Roy Rubins, 78, Nov. 19 in Arlington. Dr. Rubins taught physics at UT Arlington from 1969 until his retirement in 2011. In 1998 the College of Science named him its Teacher of the Year and he was elected to UT Arlington’s Academy of Distinguished Teachers. Ted R. Watkins, 74, Sept. 8 in San Marcos. Dr. Watkins was a faculty member from 1976-99, teaching undergraduate social work classes in the Department of Sociology and Anthropology until 1991, when the School of Social Work began administering the Bachelor of Social Work program.